Some like a clinical precision appearance to their kitchen’s, some like a more homely feel to the décor. Whatever you like 3 Blinds Nice will have blinds to fit in perfectly with your property. So whether you would like roller blinds or even roman blinds fitted within your kitchen we have a choice of patterns, colour and styles, to suit your Cardiff property. Don’t settle for just any old blinds, choose the company in Wales which has a huge selection to choose from, that company is 3 Blinds Nice. 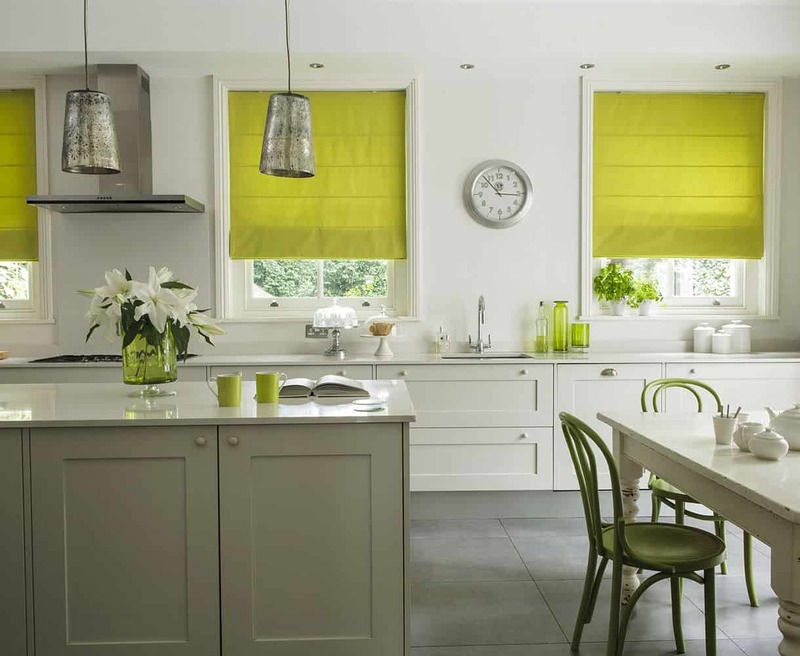 Are your kitchen blinds in Cardiff matching the style of your home? Or are they looking dated and in need of modernising? We are now going to attempt to answer some frequently asked questions from our customers in the Cardiff area. Some people are tempted today to try and install blinds themselves, yet by choosing 3 Blinds Nice you are guaranteeing a perfect installation for your window or door’s every time. Some of our clients within Cardiff call us because they have tried to install blinds themselves previously. Yet these customers sometimes quickly realise the quality may not be as good as they might have hoped, and the overall look does not look professional sometimes because of the finish and installation. Another reason for choosing 3 Blinds Nice is that we can install professional quality blinds that have durable pull cords and pulley systems, and these are sometimes better quality than some other blinds on the market today. “I have new kitchen worktops and appliances due to arrive very soon. Is your blind installation company able to install blinds relatively quickly within Cardiff”? If you are looking to transform the appearance of your kitchen, then we are the experts at helping you to improve the look of your property. We can achieve this through quickly providing you with the blind options, and we can quickly measure and then return with the blinds in a very short space of time. “ I have heard about specialist blinds for the kitchen, those companies which offer blackout blinds in Cardiff and make their blinds moisture resistant. This is so that my pets are not disturbed and my blinds don’t attract mildew, is this something that you can offer me”? Some cheap quality blinds do not fit the window or door accurately, therefore they can let in light and this can disturb pets while they are sleeping from outside light. Also cheaper fabrics can absorb moisture quickly staining the blinds and making the appearance look spoilt. We offer expertly fitted blinds that fit any window perfectly and offer blackout solutions to any window or door in which they are fitted. So if you have a noisy dog for instance that is awakened once car headlights sweep across a room, then why not make the room a more peaceful place for your pets, why not invest in blackout blinds supplied and fitted by us. Kitchen blinds in Cardiff are our speciality. Why not give us a quick ring today so we can talk you through the options? “My kitchen has got a very exact colour scheme, the shading of the walls is not something I could get to match blinds I could find in shops”. Can your company supply blinds that match more closely with my kitchen’s colour”? Many property owners in Cardiff call us to transform kitchens, bathrooms and living rooms simply because we can offer a spectacular range of blind colours and shading options. You may feel when you go to the shops you are quite restricted in terms of the colour choices on offer. Perhaps you have quite a unique colouring and shading for one of your room’s such as a kitchen’s bright colour scheme and you and you cannot find a blind type to match in with that room. We are the experts at getting blinds to match perfectly to the shading of your room. This is due to our wide range of blinds and specialist materials we have so you will be able to find blinds that suit your property with us. Cardiff kitchen blinds for a lot less than you might think! “I like the idea of Roman blinds, incorporating a pattern and design I have in mind. Is something you can offer me in Cardiff”? Whatever form of blind you require we can help you pick the blinds to best suit your property. Why not give us a call so we can explain to you the full range of blinds we can offer.